With Boombox brewing out of Parallel 49 these days, they have had the opportunity to brew in larger amounts and bring back some of their “one hit wonders” that sold out in a flash when brewing out of Callister in 2017. 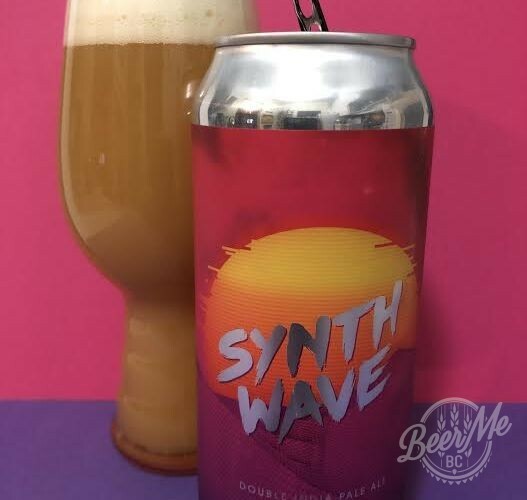 The Synth Wave is just one of recent releases that has been recreated with just a hint more alcohol (8.5 vs 8.2), and the addition of Motueka hops from New Zealand, along with Citra and Mosaic hops. The colour is a very hazy,opaque copper colour with a lucious off white head that disappears quite quickly – to be expected with an 8.5% beer.The aroma is a tropical fruitbowl ; pineapple, guava, mango with citrus notes, and it pours like a very creamy milkshake. While there is a lot of fruit sweetness, there is enough hop bitterness to balance the mouthfeel. 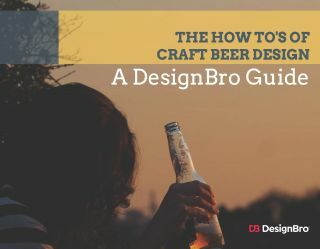 But at the high alcohol level, this beer is best sipped and savoured! Enjoyment: enjoyed the hop profiles! 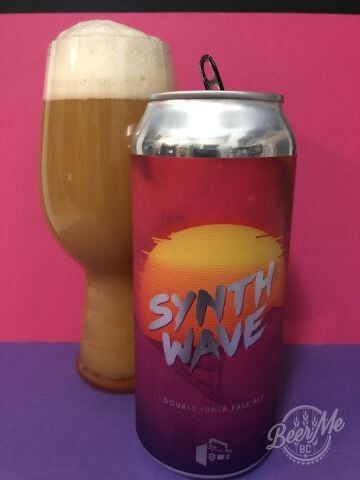 The Synth Wave is a recent releases that has been recreated with just a hint more alcohol (8.5 vs 8.2), and the addition of Motueka hops from New Zealand, along with Citra and Mosaic hops.